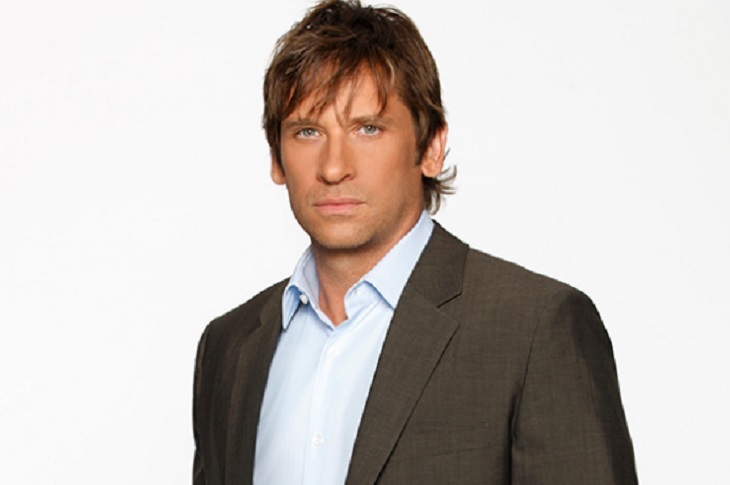 ‘General Hospital’ Roger Howarth [Franco] admits to being a soccer addict. Howarth isn’t just one of those guys who feel the need to play soccer, but he spends a huge chunk of his time off watching international league games. Howarth couldn’t be more different than his ‘GH’ character Franco. Can you imagine Franco sitting still long enough to watch a Premiere League football game? That’s the European term for soccer, as you know. In a recent interview with ABC Soaps in Depth Roger Howarth admitted he is so addicted to Premiere League games that you just might find his television tuned in for 24 straight hours of soccer very week. “I have to watch it live. Too many people would text me the results! There’s no way I can get through the whole day without finding out who won,” Howarth revealed. The ‘General Hospital’ star has never been a professional footballer but did travel the international circuit with the Puma Shoes U.S. National Soccer Team. Roger Howarth never felt the desire to become a soccer player, but enjoys some occasional time on the field. The actor isn’t into the competitive nature of the game but he does enjoy playing for fun. Franco doesn’t have much of a fun side, but he is often accidentally humorous. Maybe Franco can let loose a bit, gather up some of his new ‘General Hospital’ friends – perhaps Liz [Rebecca Herbst] or Nina [Michelle Stafford] would be up for a fast paced game of soccer? The trio could recruit Finn [Michael Easton. The good doctor looks as if he needs a hobby to help him relax. ‘The Young and Restless’ RUMOR: Phyllis’ Gets Surprising News From The Doctor, She’s Pregnant – Who’s The Daddy?